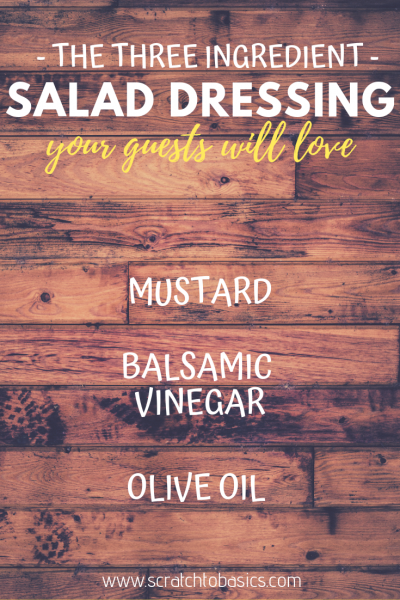 Who’s ready for the simplest three ingredient salad dressing recipe? All you have to remember is 1:3:5 and you’ll be able to whip up a jar of this salad dressing in seconds. I heard this recipe on the radio SEVEN years ago, and we’ve been using it ever since. It’s passed the test of time in our house. This is our go-to vinaigrette recipe and has been for seven years. That’s how great it is. And it’s totally customizable. Perfect! Get your three ingredients together: mustard, balsamic vinegar, olive oil, and a mason jar. Let’s make some salad dressing! If you’re wondering which oils you should be using for dressings, and which are safe for cooking, read this post: 12 Things You Should Know Before Cooking Your Next Meal. By the way, mason jars are an awesome tool to have in the kitchen to save time. If you’re looking for other time saving tools, check out this post on Essential Time Saving Tools in the Kitchen. I loved math in school. Anybody with me? Well, even if you didn’t, that’s okay. We’ll be using the ratio 1:3:5 (mustard: balsamic vinegar: olive oil). Just want enough for a single salad at dinner? Use a teaspoon. This will make a little less than 1/4 cup of dressing. Want enough for a week? Use two tablespoons. This will give you enough dressing to fill an 8 oz mason jar, like this one. Want enough for the month? Use 1/3 cup. This will make about 3 cups, so use a quart size mason jar. And we have our ingredients…mustard, balsamic vinegar, and olive oil. We’re going to combine one part mustard, three parts balsamic vinegar, and five parts oil. First, pick a unit of measure (teaspoon, tablespoon, cup, etc.). Let’s say you choose tablespoon. Put ONE tablespoon of mustard in a mason jar. Add THREE tablespoons of balsamic vinegar to the mason jar. Add FIVE tablespoons of olive oil to the mason jar. See how we did that with the ratios, the “unit” and the ingredients? Now put the lid on the mason jar and shake until it’s blended together! Use what you have. Use what you like. Mustard: We’ve successfully used yellow mustard, dijon mustard, or brown mustard. Vinegar: You can substitute a different kind of vinegar if you like. Try it out and see how it changes the flavor. 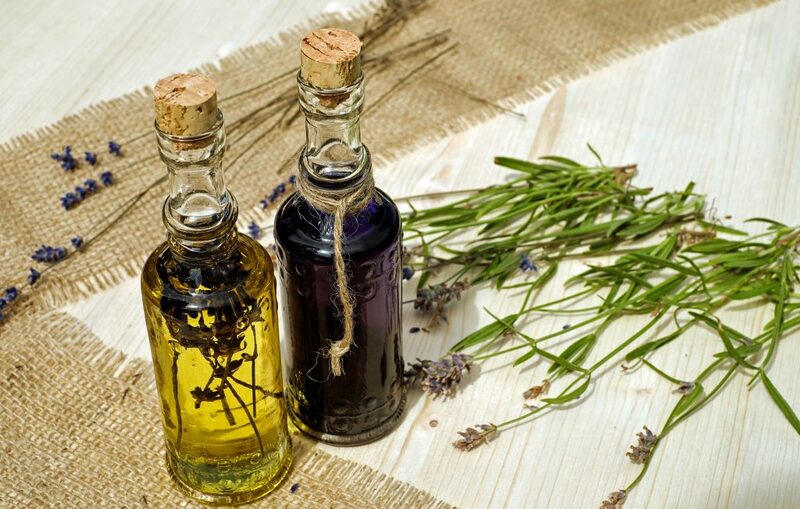 Oil: If you’d prefer to use a different oil, go ahead! That’s the beauty of customizing a recipe. You get to make it how YOU like it. Also, if you like a fruity vinaigrette, you can add a little strawberry jam, peach butter, applesauce, etc. to sweeten it up a bit. Add fresh herbs, garlic, and any other flavors you think you’d like. Start with this recipe as a base and make it your own. The possibilities are endless! My sister and her husband make a quart size jar of this dressing, and keep it on hand to use whenever they need it. That way they don’t need to make it every time they want a salad (they eat a lot of salads). We typically make smaller batches, and we like to change the flavor profile by using different herbs or fruity add-ins. Do what works for you! Make it ahead to make things easier on yourself. And if you do try this recipe, please comment below and let me know what you think! A simple vinaigrette recipe that can be scaled up or down as long as you follow the ratio, 1:3:5. Put all ingredients in a mason jar. Put the lid on and shake until blended. Use on your next salad. You can dress this up into a strawberry vinaigrette by adding a scoop of strawberry jam, or a few mashed strawberries. Megan! This has made our lives and lunches so much easier, healthier, and delicious. I have a bottle of (organic, keto and very expensive) store-bought dressing that I sent with my husband so it wouldn’t stay in the fridge beyond it’s Eat By date, and he’s been complaining all week that it’s not as delicious as my dressings–which have been a variety of this 1-3-5 mustard/vinegar/oil combo (and salt and pepper). I always felt like my dressings were too vinegary, or too oily, but not anymore. Thanks so much for posting this!! I’m so glad to hear that this dressing is working out for you guys!! Thanks for letting me know you’re enjoying it!